Xwerks CBD Review 2019 | Best CBD for Athletes? Xwerks is a company specializing in creating supplements for elite athletes. Their supplements include CBD products that are specially formulated for athletes, whether Crossfit or extreme sports. Athletes push themselves hard during training and this process has many challenges. Injuries are common and will take days or even weeks to recover. Some athletes, even when they feel they are at their best physically, may have some difficulties with their mental state, too. Stress, anxiety, depression, fatigue can all contribute to sub-par performance. CBD is used by elite athletes to deal with these issues. It has been shown that CBD reduces oxidative damage helping athletes recover more quickly and therefore lead to better performance. The less time it takes to recover, the more time you can spend training. A lot of users also report that CBD may help reduce the feeling of pain. Athletes commonly experience inflammatory pain which happens when your muscles are taxed to their maximum or when injuries happen. This is commonly treated with NSAIDs (Non-steroidal anti-inflammatory drugs) that you can get over the counter. Unfortunately, long-term use of NSAIDs has been linked to strokes, kidney damage, heart attacks, gastrointestinal bleeding, and other detrimental side effects. Some athletes have trouble getting to sleep. Tossing and turning and not getting the optimal 8 hours of sleep can lead to hindering athletic recovery and performance. Sleep issues that stem from anxiety, pain, stress or other conditions can be alleviated by CBD. In healthy individuals, research has shown that there is an increase in wakefulness. Weight loss is also something that can be affected by CBD with new research suggesting that CBD may promote weight loss through alterations in fat cells. There are two kinds of fat cells: brown and white. White fat is the fat that leads to excess fat storage and eventually weight gain. White fat can be converted into brown fat and the higher your quantities of brown fat, the lower your BMI (Body Mass Index) will be. CBD increases the browning of adipose tissue, as per the findings of preliminary studies, making weight loss easier. CBD can also make your mood better. Depression, stress, and anxiety are issues that can lead to us not being active. These emotions can destroy a perfectly good today. Research has shown that CBD may have a positive effect on depression and anxiety. A few deep breaths and some CBD may help you to fight through a depressed mood, an anxious state or even just pre-game nervousness. CBD oil is one of the more popular ways to take CBD. 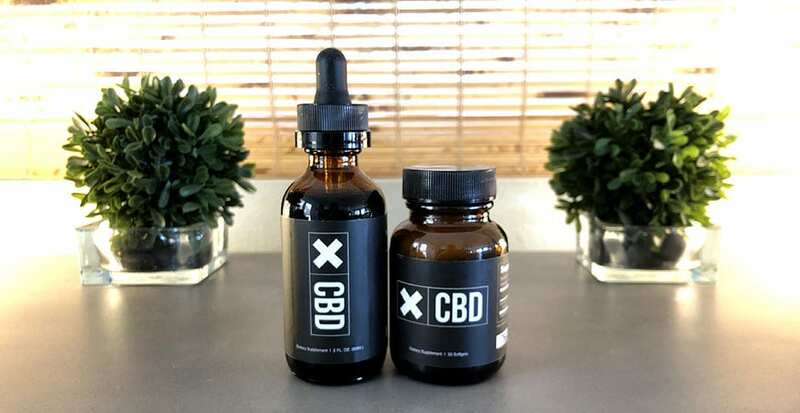 Xwerks CBD Oil has 600mg of CBD per bottle giving 20mg of CBD per serving plus other natural terpenes, flavonoids, phytocannabinoids and more compounds found in organically-grown Colorado hemp plants. The CBD oil has 30 servings, is full spectrum, contains less than .3% THC, is vegan, gluten- free, non-gmo, and organic. Xwerks partners with licensed farmers to get the highest quality hemp plants, with the hemp organically grown and processed in Colarado. There are no solvents, pesticides or unwanted impurities. Using the supercritical C02 extraction process, they get the purest hemp oil with the vital phytocannabinoids intact. Each batch of Xwerks CBD is tested for purity and potency by third parties. Some of our more athletic testers used this CBD oil and they said that they feel more focused and active. At night it is much easier for them to get to sleep and the effects during training are nothing short of great. Xwerks CBD Capsules are in softgels form and contain 750mg of CBD per bottle, 25mg of CBD per serving including other natural phytocannabinoids, flavonoids, terpenes and other compounds found in their organically-grown Colorado hemp plants. The CBD Oil Capsules have Full Spectrum CBD, contain 30 servings per bottle and are assured to have no solvents or pesticides, additives, preservatives or flavorings. Additionally, they are gluten-free, non-gmo, and organic. CBD capsules are a great method of getting CBD into your system and this product is no exception. We love the easy to ingest capsules so you can have them on the go to your next trip to the gym. Xwerks are very popular in the fitness community and rightfully so. Like athletes, if you want to be 100% sure of what you eat and what you supplement your body with, Xwerks is a brand to trust.